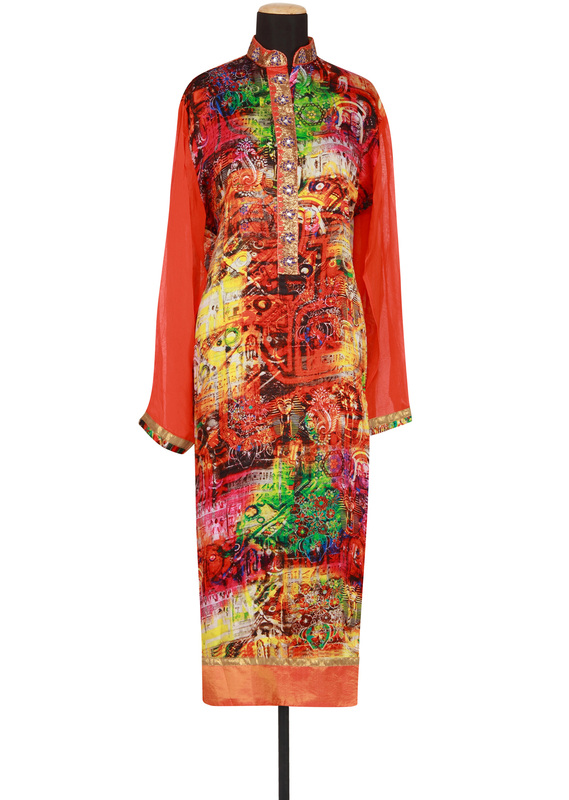 Featuring a multi coloured printed georgette semi-stitched salwar-kameez. 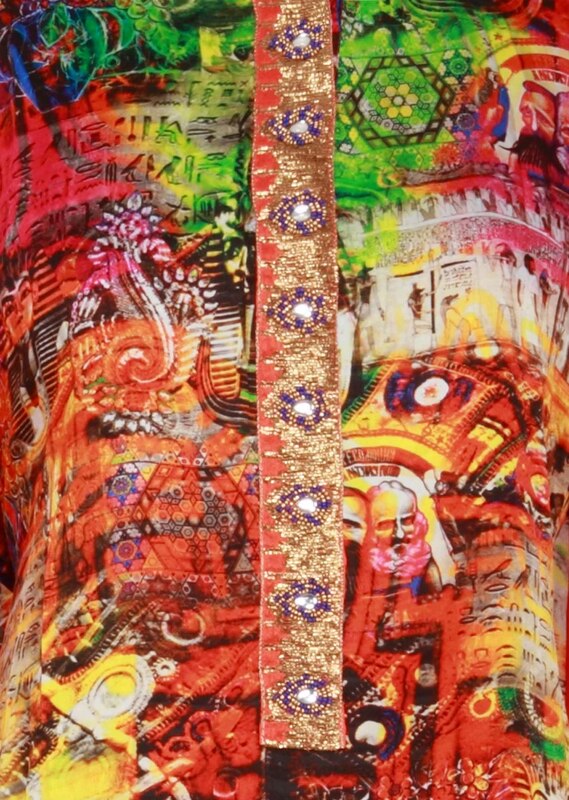 Neckline with enhanced stand collar. Full sleeves with enhanced cuff n print. 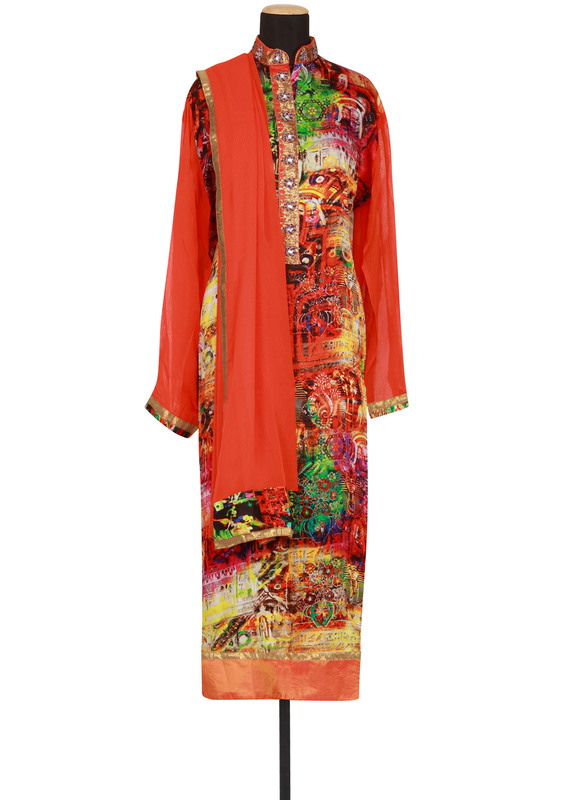 It comes with orange santoon unstitched fabric. 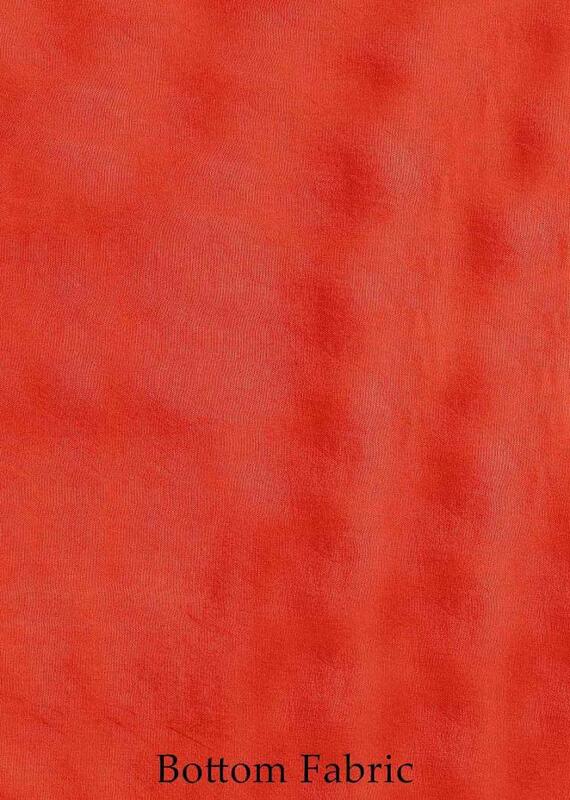 Dupatta in orange georgette with printed border.